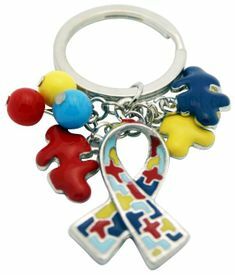 Autism Enamel Key Tag with charms and puzzle pieces. 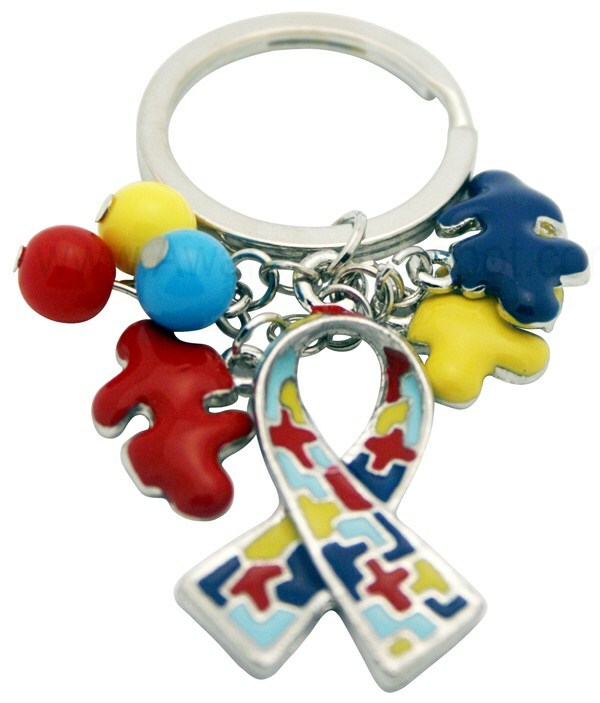 Each autism key tag is individually poly bagged. Measures 2.5" x1.5".